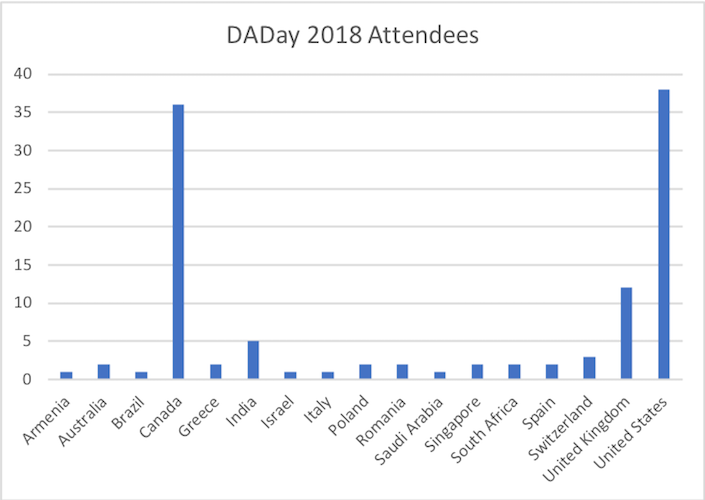 Our inaugural DADay, held 15 May 2018, was a first of its kind, a one-day virtual conference that brought together leading DA experts, practitioners, and customers to share best practices, DA success stories, and introduce new DA techniques and learning materials. Thank you to everyone--panelists, presenters and attendess--who participated in #DADay2018. Our collective effort made the day an overwhelming success. See you next time on 15th May 2019. Since then, more than 500 workshops have been facilitated for more than 10,000 practitioners representing over 100 businesses. In the past 2 years membership has grown more than 450%, Gartner has recognized Disciplined Agile as the most successfully adopted agile frameworks and the 12th Annual State of Agile Report claims "The scaling approach that saw the largest increase in reported use since last year is the Disciplined Agile Framework (DA) ..."
If you have an Active Membership, once you login you will have access to all resources. The Q&A recordings are available to the Public. Access to the presentations (recordings and slides) for non-registrants and non-members will be enabled at a later time. 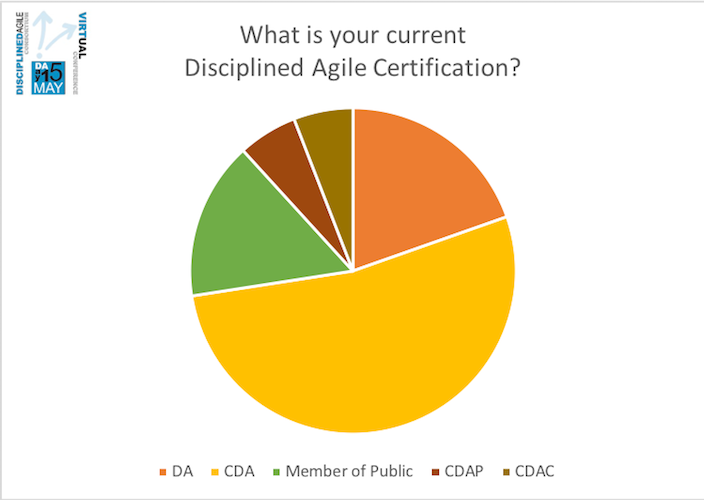 Email Membership@Disciplined-Agile.com when you have viewed the recordings for this track to receive 1 hour Professional Development toward certification retention. If you have an Active Membership, once you log in you will have access to all resources. The Q&A recordings are available to the Public. Access to the presentations (recordings and slides) for non-members will be enabled at a later time. All DADay2018 Resources are available for use by those with an active disciplined agile membership. Speakers retain copyright to their presentation. Recordings and slides will be made available to the public at a later date. 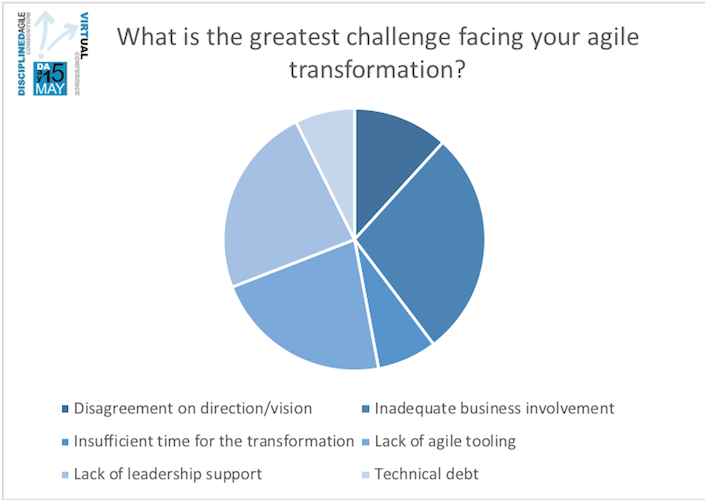 Complex organisations going through agile transformation often question if they can effectively deliver high quality business solutions without traditional project portfolio management techniques. Often, these digitally transforming institutions believe they still need the political savvy, organizational awareness and time proven techniques traditionally known to be provided by the PMO. The Lightweight Disciplined Agile Milestones and Governance model that we implement addresses these issues quite efficiently. Our focus is on large organisations with long and deep histories struggling to come to terms with the need to modernize their business solutions delivery paradigm. Some examples include but are not limited to financial institutions and government agencies. We address organisations that are evolving from a less than ideal starting point (contrarily to Google, Facebook etc) and have to contend with legacy cultures, organizational structures and IT infrastructures. The key to Agile is to empower people to do their best by tapping into intrinsic motivation. We explain how PMOs of varying degrees of expertise can add value to our agile endeavours – either by bringing skills to the table the other roles may lack or by taking on tasks that underuse other roles with sole reference to the Disciplined Agile milestones and governance structure model. Shadreck Mudziwepasi is an Agile Consultant for IndigoCube. He is a Certified Disciplined Agilist and a Professional Scrum Master. He is involved in various DevOps projects. He specialises in mentoring, Agile Project Management, Scrum, Scaling Agile and various software engineering process tools, applying his vast experience to spearhead digitalisation across enterprises. Unrealistic expectations left Kyruus rushing and cutting corners in product delivery. 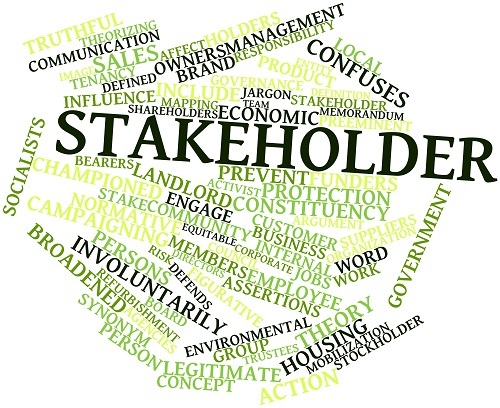 Using DAD principles, they successfully planned how long we thought the project would realistically take, while also being able to mitigate risks and adjust to changing stakeholder needs. Hilary is a Senior Software Engineer on the Data Management Team at Kyruus in Boston. Her team works directly to provide data management, search, and scheduling solutions that help health systems match patients with the right providers at the right time. Hilary is the Team Lead responsible for delivering self-service administration capabilities to improve operational efficiency. She earned her B.S. and MEng in Computer Science and Molecular Biology from MIT. She is also a Certified Disciplined Agilist. There are five agile ecosystems that result in different levels of business agility. Each ecosystem builds on the capabilities of the previous level, giving us a roadmap towards business agility. The central idea is to evolve your enterprise as oppose to designing it up front. 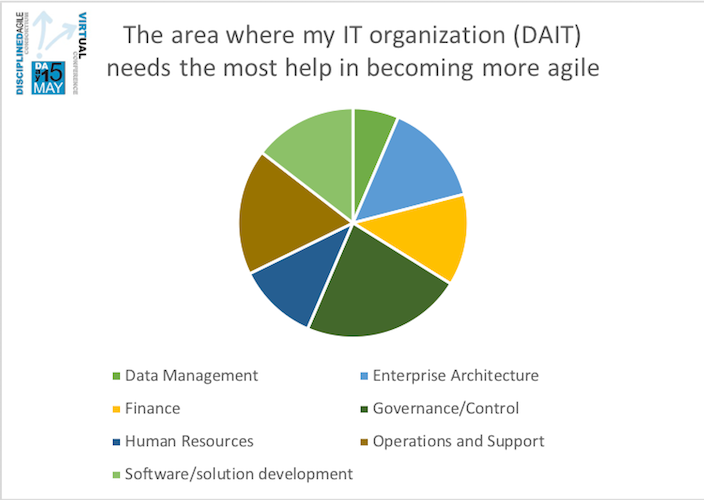 This roadmap that evolves towards business agility is well supported by DA 2.0, incorporating ideas from lean-agile, DevOps, Lean UX and Lean Start-up in one framework. 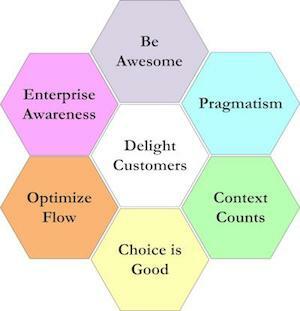 DA 2.0 as a framework supports all five these agile ecosystems and thus enables the evolution of the lean enterprise. Jaco Viljoen is principal consultant at IndigoCube, South Africa, and is passionate about helping others do software development better, be it through successful Digital (Lean/Agile/DevOps) enterprise transformations, training or coaching, or achieving optimal business agility. Dr. Saxena suggest that applying wisdom in your project's context is more valuable than running behind popular frameworks and tools. He suggests you don’t limit yourself to any popular framework or tool. Your situation is unique, so choose a context sensitive and goal driven framework and then apply your wisdom to cherry-pick the relevant practices which are beneficial in your own context. Dr. Sanjay Saxena has 20+ Years of IT experience, working with clients such as Canon, EY, HSBC, Barclays, Conseco and TIAA-CREF. His specialization is in DevOps, Scaled & Disciplined Agile and Lean transformation, coaching and training. He is a lifelong learner, earning certifications such as: SAFe 4.5 Program Consultant, CSM, CSP, PSM I, PSPO, PMI-ACP, PMP, PgMP, CISA, CRISC, FLMI, ACS, ARA, Accredited Kanban Practitioner and Certified Six Sigma Black Belt. In the last 12 years, Dr. Saxena has coached & trained thousands of professionals for Enterprise-wide Agile Transformations and industry certifications. His favorite pastimes are playing in the professional Chess tournaments and practicing various forms of Martial Arts. Jon is heading the journey to adopt agile and lean principles and practices across Barclays Group (120,000 people, 40 countries, 327 years old, in the most regulated industry). Barclays is 3 years into the firm-wide journey, and is now starting to tackle the harder challenges. Barclays is implementing at scale a radical change in how they comply to a huge amount of standards and regulation. Jon is leading on agile ways of working being the default approach to how Barclays approaches change. Jon has 20+ years experience of taking and leading an agile approach to change in Financial Services, starting out as a developer on the trading floor. Prior to this role, Jon was leading Derivatives Technology which had a large regulatory book of work which was delivered with agile principles and practices. He, along with his team, is the winner in the category of “Best Internal Agile Team” & “Most Valued Agile Professional (UK) (Runner Up)” at the Agile Awards 2016. This session will review the challenge of Portfolio Management - Migrating from Traditional to Agile, the Basic Rules that apply to Portfolio Management, and the Benefits of Agile Portfolio Management. Joe specializes in improving complicated process challenges. He is an expert in the areas of planning, managing, and realization of desired outcomes for valued initiatives. Joe implemented Agero’s migration to a Disciplined Agile Delivery (DAD) methodology from a more waterfall oriented process. This included driving the organization to achieve more than 100 certifications in the DAD platform. Openlink is faced with new and interesting challenges as we move deeper into providing our top-tier customers with our award-winning Energy and Financial Enterprise Trading solutions in the cloud. This presentation provides a view into how Openlink approaches introducing new technologies into our products, establishing technology roadmaps that align with our product roadmap, invent new products and services while evolving our existing assets. David is a Senior Director of Development currently managing the Desktop Technology Group as well as the Development Operations Group. His continued contributions include leading OpenLink through a complex transformation to Disciplined Agile Delivery. He has been involved in coaching and educating the majority of the staff in agile principles and practices. David is a Certified Disciplined Agile Coach, with experience architecting application for distributed cloud environments. He is an active contributor to the OpenLink Architecture working group. 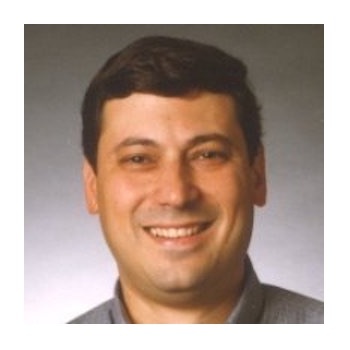 David joined OpenLink in August of 1998, over the course of his career here has been a contributor on a variety of projects spanning multiple products within the OpenLink suite. Both Lean and Agile methodologies are based upon similar principles of continuous improvement, emphasis on feedback from the customer and eliminating unnecessary process waste to increase efficiency. Is your product owner unsure of the what is minimally required to be delivered to increase the speed to market? Does your delivery team have a clear picture of the whole process? Are your team members consistently identifying and minimizing technical debt? Change the conversation with your Product Owner and delivery team using common lean tools. Lisa brings over 18 years of IT experience successfully implementing multidimensional projects in a variety of roles in cozy Regina, SK, Canada. She is certified as a Lean Six Sigma Blackbelt and holds the CDAP (Certified Disciplined Agile Practitioner) and other Scrum designations. 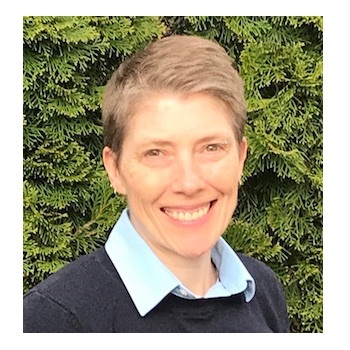 Over the last 5 years her focus has been on process improvement, lean change management and leading an agile transformation at The Co-operators Life Insurance Company. Lisa is passionate about lean, agile and her work creating a culture of trust, transparency, fun and continuous improvement. In her spare time she enjoys teaching at the gym, spending time with friends and family and mixing martinis. 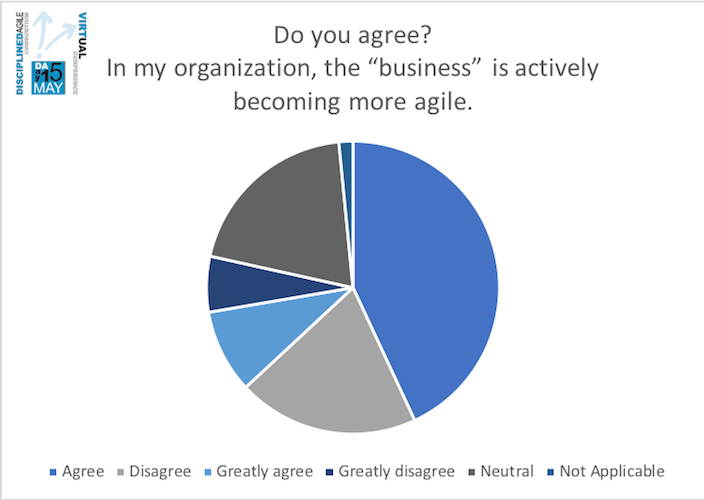 Agile has become a source of disruption to organisations and leadership. Prevailing trends shows that organisations are de-layering and some are even decimating their hierarchies. This disruption driven by Agile and, more recently, DevOps and Agile Scaling, challenges tradition; there is a call for wider skill sets and controlled, sustainable transformations, pushing individuals, teams and organisations into wider and often conflicting and ambiguous contexts. I had my first experience in the IT industry as a junior programmer in 1998 at the start of the Y2K bubble. After gaining experience in development, I expanded my skills into the world of testing, and later started the journey into Agile, and more specifically, focusing on Agile Coaching. Through this career progression, I gained exposure to a wide range of interesting opportunities in South Africa, the UK, Australia and New Zealand, I have mastered the practical elements of developing working software, Agile and best practices across a range of titles, assignments, projects, organisations and industries. What keeps me fascinated is the constant change which ensures that there is always something new for everyone to learn, regardless of experience levels or qualifications. My greatest passion in IT lies in the ‘people’ dimension of the ‘people-process- technology’ mix, and how that translates into successful IT strategy, teams, projects and practitioners. As a result, I relish opportunities to coach, develop, teach and grow skills, people and teams, and to help them reach maturity at both strategic and operational levels. Tactec Strategic Solutions implemented the first DA DevOps programme for BC Government using two DAD lifecycles, one for the DevOps programme and one for the DevOps product. 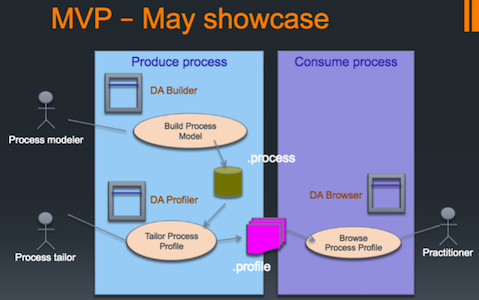 The programme for the GCPE / GDX Ministry began practicing DA DevOps using an MVP approach and demonstrated a potentially shippable solution in a matter of weeks. 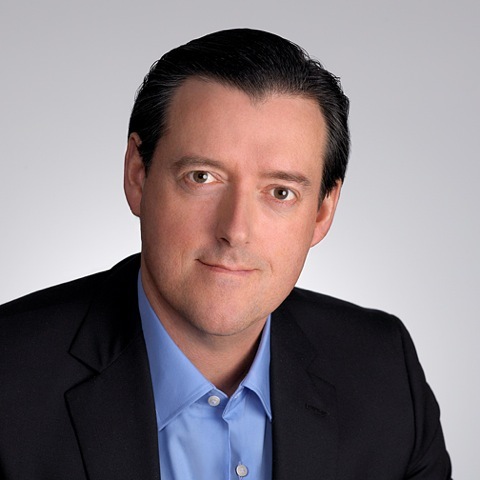 Brent Reed is an accomplished and highly capable Enterprise IT Management Leader and Architect with a unique combination of business acumen and IT technical ability translating objectives into actionable plans. A recognized strategic leader, industry speaker, and advisor to global companies he has a wealth of expertise building enterprise-wide teams, systems and processes to deliver strategic objectives. 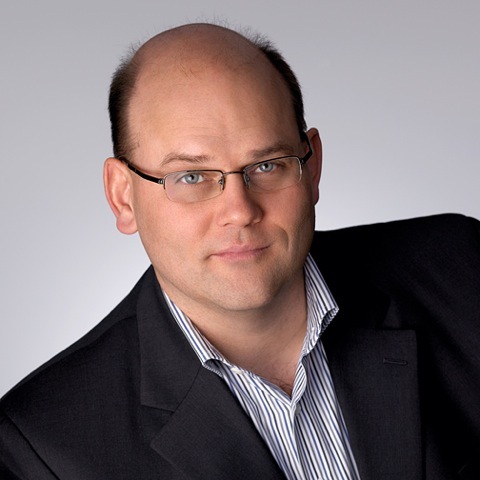 Currently President & Founder of Tactec Strategic Solutions Inc, in Victoria BC, Brent has held leadership and executive technical positions including, Heathrow Airport, IBM, and SITA (Montreal, Hong Kong, Madrid, UK). Brent has practiced Agile processes and honed his craft using Disciplined Agile at IBM since 2011, while focusing on leading edge strategies for enterprise devops for an improved IT delivery process and link to business objectives. This presentation will detail how a large US insurance company implemented a 3 day DAD boot camp to overcome the challenge of the DAD inception phase taking up to 3 months. This story will detail the journey to agility of a large global bank which started as an IT-focused transformation to reduce costs but became an enterprise-wide transformation that reduced complexities and mapped to business priorities. Prasad has more than 17 years of experience working with large Enterprise IT organisations and Product companies. He has hands-on experience in building Digital, AI, Blockchain Products and Platforms and in result oriented IT Transformation. As a result of this has led to him becoming a trusted partner and coach to CIOs of large Enterprises. As an IT for IT strategist, enthusiastic agility coach he leads by example. Experience includes leading large distributed IT delivery teams across US, UK, India and China. As recognition of his contribution to this community, Prasad was honoured with 'agile Leader' of the Year award in 2016. Have you set up a DA Center of Excellence. How did you do it and how did it work? Were you able to obtain buyin from the Executive leadership? How did you do that? Have you found along the way that the transformation has brought out inefficiencies in non-IT areas that traditionally would have been passed on and shown as IT failings further 'downstream'? Puts a light on all areas to step up and come together (rather than 'blame' IT). With 25+ years’ experience in various Leadership roles in Application Development & Project Management, Carolyn Aulicino (Director-IT, Franklin Templeton Investments) is responsible for the Institutionalization effort for Technology. Carolyn partners with Technology and Business Leaders daily in support of the institutionalization of Disciplined Agile. 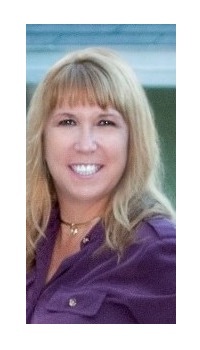 Patti Creed is the Vice President of Information Technology at MCAP and has held several increasingly senior positions during her 25-plus years at MCAP. Patti has led a variety of business teams within MCAP that focused on customer service, improving internal efficiencies and project management. She has overseen the development of several projects at MCAP including the development of our Underwriting platforms, external facing Portal projects, modernization of our Servicing platforms, and adoption of several SAAS initiatives. Additionally, she championed the adoption of Agile Project Methodology. In her current position she works closely with business leaders and IT professionals to develop strategic technology solutions that meet the ever-changing needs of the organization and its customers. 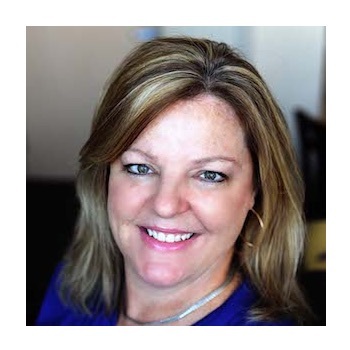 Patti strives to bring business teams, Information Technology teams and external partners closer together using agile principles that offer individuals an exciting, challenging and cooperative work environment. 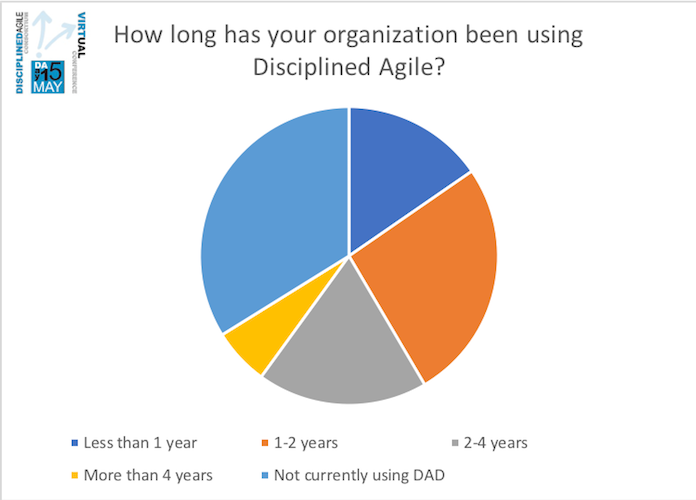 I was introduced to Disciplined Agile in 2016 while I was working as a Scrum Master. I was excited to apply what I had learned and we introduced more discipline to our grass roots agile processes. In 2017, I became a DA coach working alongside coaches from Scott Ambler as we rolled out DA to 15 cross-functional teams. Later in the year, I took over as Manager of the Disciplined Agile and Continuous Improvement department, the team and I are working on applying agility at scale. David is the Product Owner responsible for User Experience initiatives as well as a host of strategic and customer specific projects. Prior roles with OpenLink included managing the Automated Testing Solution Group as part of the Quality Assurance department. Prior to management responsibilities, he was a senior software consultant working amongst the Energy Solution Group developers as a Technical Lead Specialist. Certified in Disciplined Agile since 2015, David keeps OpenLink on track with their complex transformation to Disciplined Agile Delivery. 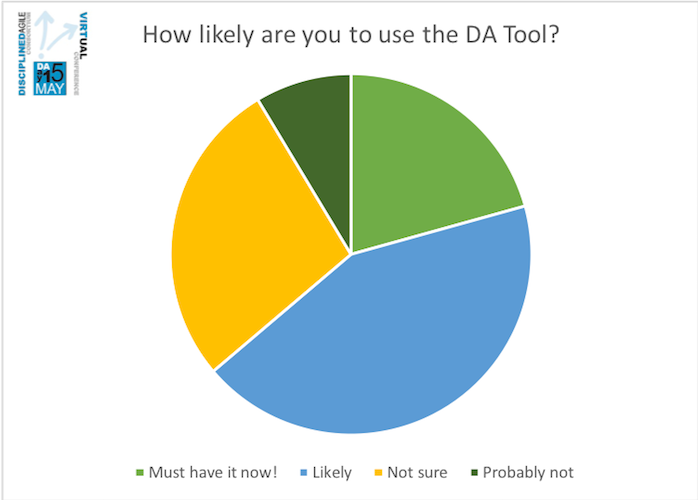 We have a special announcement of the DA Tool Suite - for members only. You are going to love it! Bjorn is a senior consultant (CDAC) at Scott Ambler & Associates with over 35 years of progressive software industry experience, helping teams adopting the Disciplined Agile Delivery (DAD) framework. A developer at heart, Bjorn also takes every opportunity to develop software hands-on. As the technical lead of the DA tool development, he brings together his development skillset and his previous experience from developing process-based tools into the building of the new cloud-based DA tool suite.